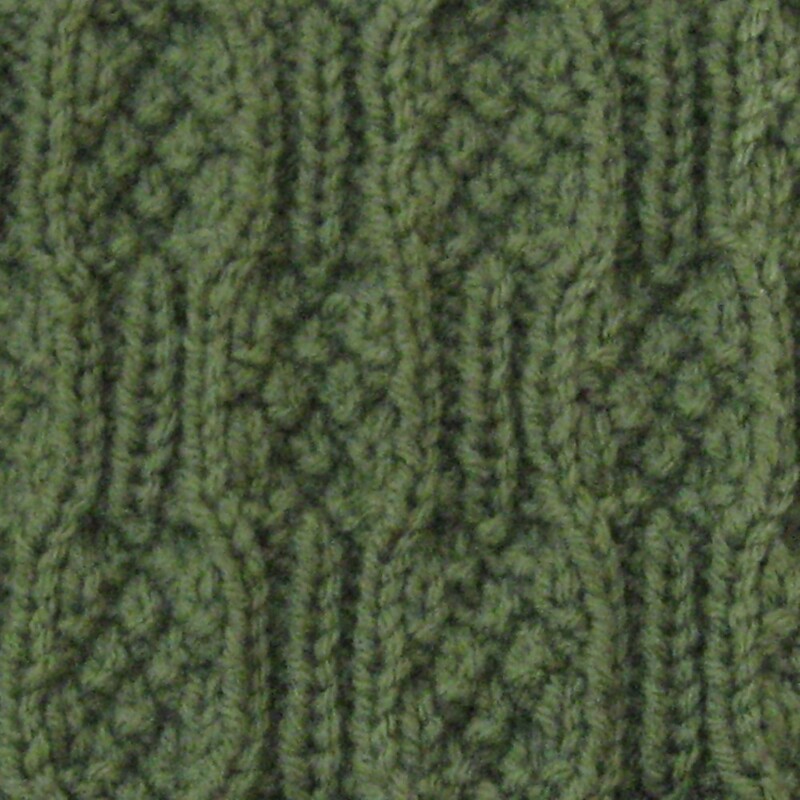 For those on Ravelry, you can find it here. 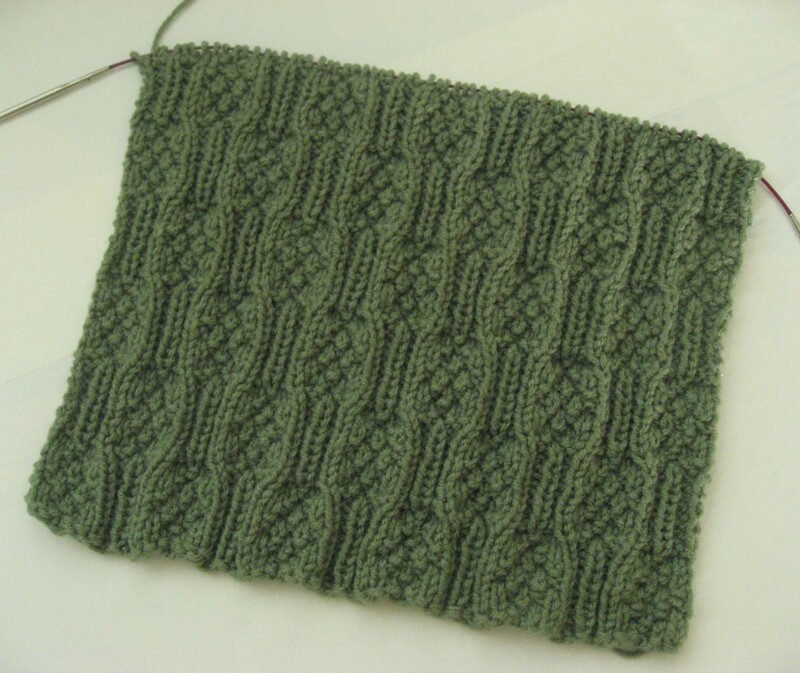 The book gives you a choice of 3 different afghans, 20 squares each, and I’ve chosen #2. I began the first square a couple days ago — I decided to start on square #38 . . .
and I’m almost finished, just an inch or so more. I’m really enjoying the texture on this square, and it’s a very quick, mindless pattern — which was what I was going for this time! P.S. — Hang around here long enough, and one might just get the sneaking suspicion that green is my favorite color!